Are You in Need of Pain Management Therapy? 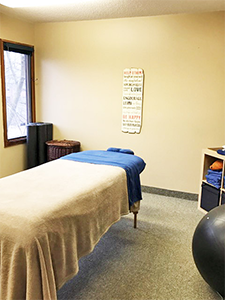 Advanced Corrective Bodywork provides pain management therapy to clients located in Wayzata and the surrounding suburbs of Eden Prairie, Minnetonka, Plymouth, Maple Grove, and Orono, MN. One of the most frustrating things about pain is it is not always easy to identify the source. Whether your pain is from a sports injury, fibromyalgia, old injury, or a car accident, it needs to get under control to fully enjoy life. Advanced Corrective Bodywork works with you to greatly reduce and/or eliminate your pain. One experiences pain much faster and more intensely when the body is stressed or traumatized. Therapeutic massage can help greatly in dealing with pain, making it a valuable addition to a person’s pain management protocol. In fact, a clinical study was done to review “The Effects of Massage Therapy on Pain Management in the Acute Care Setting”. Another part of a good pain management therapy program is quality chiropractic care. Correcting small misalignments will often take pressure off inflamed nerves. It does not, however, facilitate the healing of unhealthy and dysfunctional muscle. 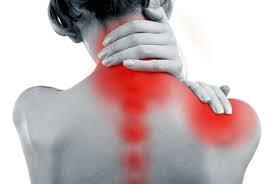 Advanced Corrective Bodywork is designed to help alleviate the muscular problems causing pain. It is very challenging to function both physically and emotionally when dealing with chronic or sporadic pain. The more anxious a person is about pain, the worse the pain seems. Most of our pain is felt in our muscles, fascia, tendons, and ligaments, the soft tissues of the musculoskeletal system. Whether pain in soft tissue arises because of overload, overuse, or injury, there is a strong chance part of the pain process will include the presence of hyper-irritable areas known as trigger points, or “knots”. In fact, pain clinic doctors have found trigger points to be the primary cause of pain roughly 75% of the time and at least a part of virtually every pain problem. These trigger points are located in virtually every muscle in the body. Fortunately, most of them are “turned off” most of the time and don’t cause severe pain where they’re located. Even so, they restrict the movement and health of our muscles causing us to use more energy to move in our daily lives. It’s like we’re moving with our parking brake on. And though they don’t hurt where they are located, they often cause pain in other areas of the body when they get “turned on”. Pain is a symptom, not a problem. The odd thing about the human body is that where it hurts is almost never the problem. Where the problem is, almost never hurts, unless someone pushes on it. While working on muscles that are painful will temporarily diminish the pain, it doesn’t correct the problem. This leads to the frustration of pain always coming back, often worse than the time before. A person may feel better for a time but never seems to get better. The problem needs to be addressed, not just where the pain is, for long term success. The first step in controlling your pain is to speak with your doctor to determine if the source and cause of your pain is a more serious medical condition other than musculoskeletal pain. If it’s determined that the pain is musculoskeletal in nature, discuss and decide which program is the best approach to ensure you the best short and long term results. Finding the right treatment combination is the key to success. Advanced Corrective Bodywork uses advanced and specific pain management therapy techniques to reduce chronic aches and pains associated with a variety of injuries or medical conditions where the soft tissues are contributing to the pain. Phil Gore, Massage Therapist & Master Bodyworker, has acquired over 16 years of knowledge, clinical experience, and problem-solving skills from working in many different environments. 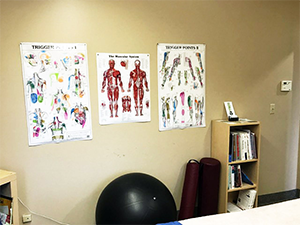 Phil’s years of experience have given him great skill at finding trigger points and helping relax them to decrease and even eliminate pain. It is important to remember, as noted above, that because of the way the nervous system operates, trigger points causing pain are rarely located where a person is feeling the pain. Which trigger points cause pain, which trigger points cause problems, and skill in locating and treating the proper trigger points are essential qualities in a massage therapist for short and long term pain management and relief. Pain in one area might be caused by trigger points in up to 20 muscles or more. Pain management therapy is one method to relieve lower back pain, upper back pain, knee pain, shoulder pain and neck pain. 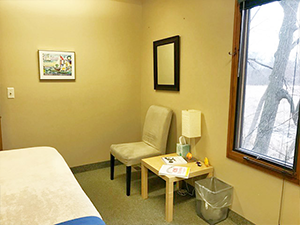 Advanced Corrective Bodywork provides 60, 90, 120 and 180-minute pain management therapy sessions to clients located in Wayzata and the surrounding suburbs of Eden Prairie, Minnetonka, Plymouth, Maple Grove, and Orono, MN. I have been seeing Phil for over two years now for the treatment of low back pain and postural problems related to scoliosis. 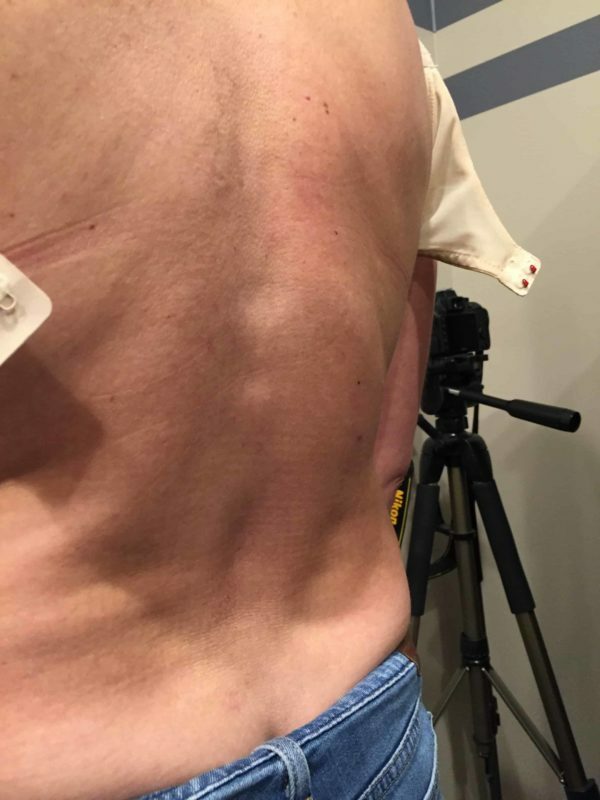 When I was sixteen years old, I injured/sprained my back, and when I sought medical treatment, I was found to have scoliosis. “Great Results! I have been visiting Phil for over 2 years. He is very knowledgeable, dedicated, and cares about his patients. I like to exercise from running to weightlifting and with Phil’s help he has been able to improve my workouts and has helped me do the training I enjoy in a pain free manner. Thank you Phil! “I am so grateful to Phil! 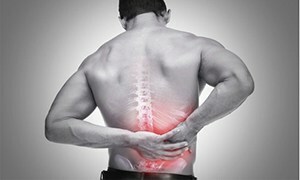 I suffered with low back pain after an injury for over a year. Acupuncture helped with the pain and inflammation, however once I worked out my muscles would tighten up. I needed body work to change the way my muscles fired during my workouts. Phil did just that. He was able to decrease my pain, increase my mobility, and get me back to enjoying life! Thank you Phil!